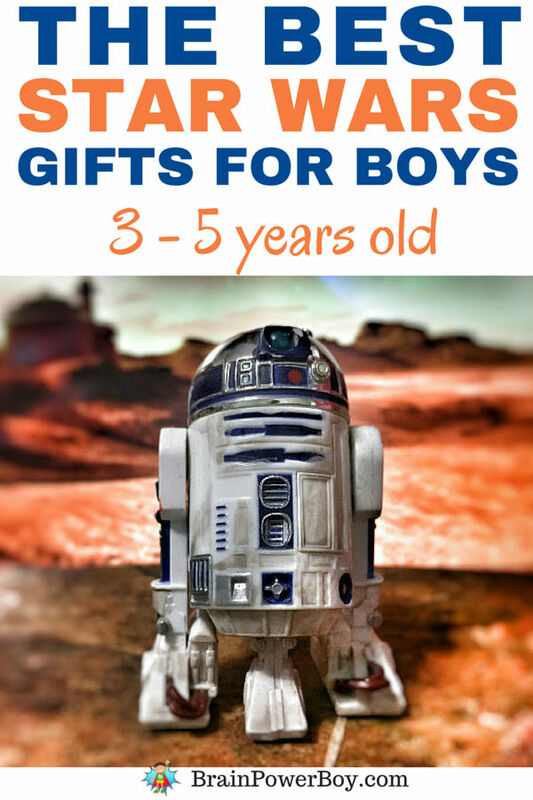 Your gift will be a hit with these Star Wars Gifts for 3 – 5 Year Old Boys. 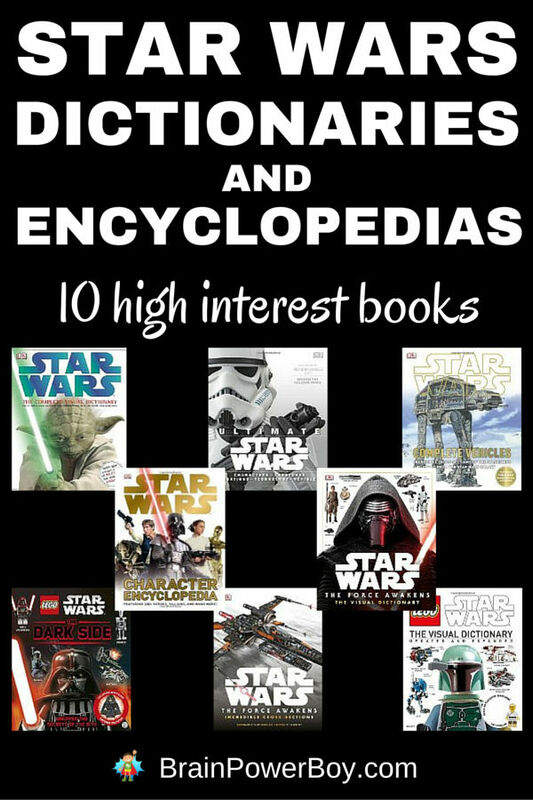 We went through a bunch of Star Wars books, Star Wars toys and other SW goodies to find the best of the best for young Star Wars fans. When it comes to gift ideas for boys you know Star Wars is on their list. It is super popular with boys young and old – plus there are plenty of adult fans too! Ideas for older boys coming soon! Did you know that stickers are great for hand-eye coordination? Well, they are! This Star Wars Stickers set includes 300 stickers. Try this book for another sticker choice. It is put out by DK and includes 60 stickers that go into the book in specific places (or can be used on their own.) Some of these stickers are bigger than the ones in the set above. Of course, you remember this line from the movie: These Aren’t The Droids You’re Looking For. Well, they took it and make an I Spy type book LEGO Star Wars style. Perfect for young boys to use. Great for paying close attention to details. Go totally retro with this Star Wars Golden Book Library. It includes 6 books each based on one of the first 6 movies. The illustrations are really neat! Do Not Miss Darth Vader and Son! This is a hoot and we have enjoyed every one of the books in this series. They are perfect for young fans and adults will totally enjoy reading them as well. I know I did! Highly Recommended. 5 Minute Star Wars Stories is perfect for young readers or those who want a quick story but aren’t quite really for chapter books quite yet. This book is highly rated and one clever reviewer said “This is the children’s book you are looking for!” lol I agree. The DK Readers Level 1 LEGO Star Wars book is a hit. These are short, inexpensive books with great images and just enough text. Great for boys who are starting to read as well as those who like a good, short story. Young fans are going to love this Galactic Heroes set. It is a take-along set so the figures can be stored inside the case which serves as the Millennium Falcon. Comes with 3 figures, a cannon, a ladder and more. This set is great for imaginative play. 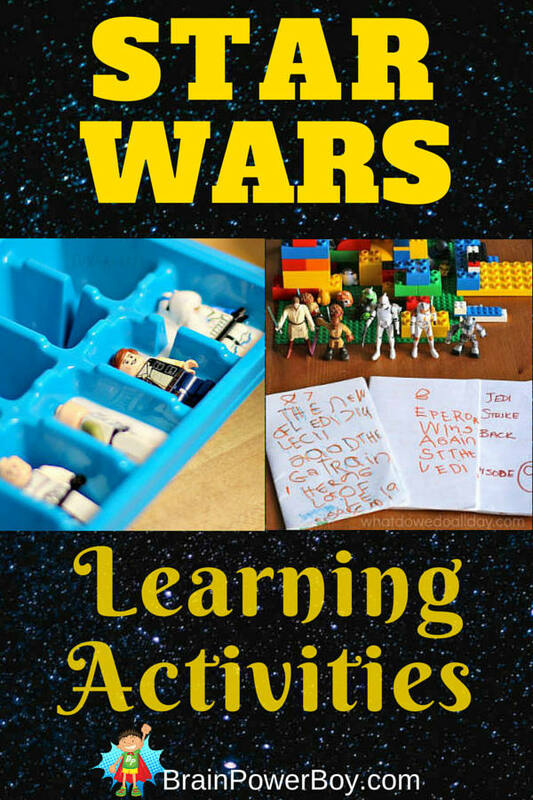 If you want your young Jedi to get into the bath and play and play, you need these! Honestly, what a cute idea. This sand playset looks great. Star Wars: The Force Awakens Jakku Set includes Fin, Rey, BB-8 and First Order Stormtrooper plus the Falcon and two sand molds. It even comes with the sand! I don’t know about your boy but mine was really into LEGO Star Wars when he was young. The sets usually have age recommendations of 6 – 12 but most 4 -5 year olds have no trouble putting these smaller sets together. Here are our favorites. Snowspeeder 97 pieces – AT-AT Microfighter 88 pieces. – Resistance X-Wing Fighter 87 pieces. Star Wars Play Doh! The cans are even part of the action in this set that includes a landspeeder vehicle. There are also half-molds of Ewoks and Droids. Oh my, there are Mr. Potato Heads done Star Wars style. I’m linking to the “Studtrooper” and you can also find “Luke Frywalker” and “Frylo Ren.” Ha! Play is one of the most important things that I can think of to encourage learning in young boys. Yes, just simply giving them wonderful opportunities for play – that is it! Pretend play is perfect for this. Here are couple of pretend play gift ideas for boys age 3 – 5 that they will enjoy. A tent! This is so perfect for pretend play. Our nylon play house has gotten a ton of use over the years. This one is Star Wars themed. Just perfect for some Jedi pretending. These masks are actually party masks and are made of paper. I don’t know how long they will last – it really depends on how rough your boy plays. There are two of each though and the price is low so I think this would be a good set to try. As I said above, I saw this and couldn’t resist adding it to the list. It is a Chewbacca Pillow Buddy. Not sure of the size as it is listed as 17 inches but people are claiming it is 24 inches. This would certainly make a Chewbacca fan happy. A neat DVD that we have enjoyed is LEGO Star Wars The New Yoda Chronicles. We have the original too and both are entertaining. There you go . 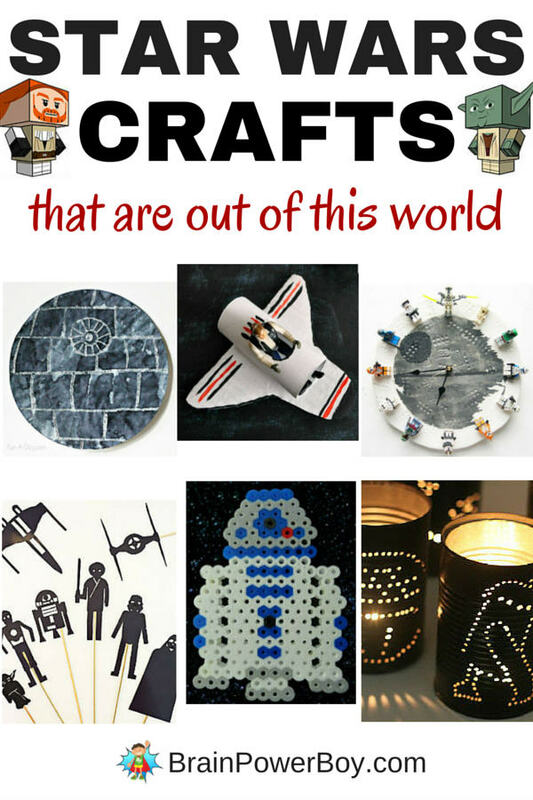 . . the very best Star Wars gifts for boys 3 – 5 year old. I am really fussy when it comes to choosing things to share with you so I hope you find something just right for your little SW fan. We have more Star Wars posts on our activities for boys page and you can find more gifts here.